Despite two Olympic medalists not returning this year, with Park Tae Hwan (KOR) ostensibly taking the year off, and bronze medalist Peter Vanderkaay (USA) retired, the world has been swimming fast in this event in 2013. The time that got a 4th place finish in London would currently place just 8th, with the next 5 swimmers just half a second behind. There is a noticeable amount of youth coming up the ranks, with names like Hagino, Harrison and Hao are ready to explode onto the scene in the event. In London last year Sun Yang (CHN) pulled away from the field in the last 100 metres to convincingly win gold in the 400 freestyle. In doing so, in a time of 3:40.14 – which was just a blip of a shade over Paul Biedermann’s super-suit record of 3:40.07 — Yang became the first Chinese male to win a swimming gold medal at the Olympics. Since then, Yang has parted ways with his coach of ten years, Zhu Zhigen after being suspended for breaking a series of team rules, taking time to capitalize on his Olympic success via endorsements, and apparently falling in love with an airline stewardess. Yang spent a lot of time down under training with legendary distance coach Denis Cotterell in the run-up to the Olympics, whose stable in the past has included Aussie distance superstars Daniel Kowlaski and Grant Hackett. There is no indication that this collaboration has stopped (despite the occasional rumour of Australian Swimming telling Cotterell to mind only Aussie talent). 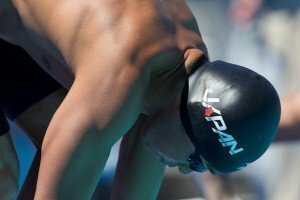 Yang and his former coach put on a public reconciliation earlier this year, and Yang put any doubts regarding his conditioning to rest by swimming a world-leading 3:42.93 at Chinese Nationals in April, and also more notably swimming a 200m free that was just hundredths of a second off his London silver-medal winning time, signaling that Yang is ready to rock and roll in Barcelona. 18-year-old Yun Hao’s (CHN) 3:45.91 won him a silver medal at the 11th Short Course FINA World Swimming Champs in this event, swimming a 3:39.48, after Mads Glaesner (DEN) tested positive for the stimulant Levmetamfetamine. Glaesner won’t swim at Worlds, but Hao placed 4th in this event in London (3:46.88), and has been right on that time with a 3:46.91 swum a couple of months ago at Chinese Nationals, placing only behind Yang. After a lackluster Olympic showing, David McKeon (AUS) elevated himself to the 3rd fastest Australian of all time earlier this year at Australian Nationals, swimming a 3:43.71. The only two Aussies that have swum the event faster? A couple guys named Thorpe and Hackett. Swimming for Thorpe’s former coach Doug Frost, McKeon has bulked up this year, and with that time makes him the second fastest this year. 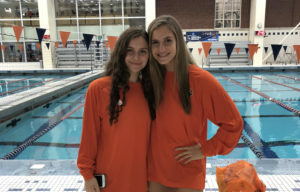 World Champs will be a family affair for David, as his sister Emma McKeon qualified for Barcelona, and father Ron McKeon will be going as a coach. Nobody aside from Sun and McKeon have been under 3:45 since 2010 among those who will race this year. Kosuke Hagino (JPN) has the third fastest time in the world this year (3:45.42) that he did in April at the Japan Open. The time improved further on his best time, swum only a month earlier (3:46.89) and was a textile-best among Japanese. It seems likely that he is going to break the national record of 3:44.99 set by Takeshi Matsuda in 2009, it’s only a matter of when and by how much. Even though he has loaded up on events for Barcelona, with the 400m free on the first day of competition Hagino will have a conflict-free swim. Jordan Harrison (AUS) demolished his personal best time to pick up the 2nd slot for the Australians at their trials. Just 17 years old, Harrison trains – unsurprisingly – with Denis Cotterell at Miami. For Harrison, one of the brightest young stars of Australian swimming, this will be his first senior long course team. His time of 3:45.85 is the fourth fastest in the world this year, and given that he trains at the distance freestyle mecca you get the sense that this may be a big coming out party for the young Aussie. Connor Jaeger (USA) swam a lifetime best of 3:45.89 at World Trials, improving a second on his former best time – swum only a few weeks earlier at the Santa Clara Grand Prix. 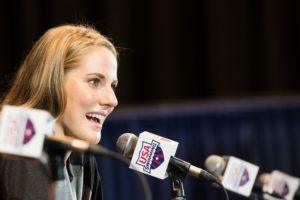 He has been having a knockout year, with NCAA titles in the distance freestyle events, and a steady improvement in this event over the past year. His performance at trials (3:45.89) was the 5th fastest time in the world this year. Don’t count on him being done after so much improvement, though; we saw from Michigan in the NCAA season an uncanny ability to just keep getting faster meet-after-meet. Still, as much excitement as there is in the United States about his improvements, there’s still a lot of guys around the world (like Hao, who just turned 18 in June) who are garnering just as much excitement in their home countries. Teammate Matt McLean (USA) of the University of Virginia is right behind him with the 6th fastest time of the year so far (3:46.05), which was also a full second faster than his best time from August 2011. Like London, where he picked up a gold medal in the event, McLean will also be part of the 4×200 free relay in addition to the 400m free. Canadian distance star Ryan Cochrane won his preliminary heat in London, but was pushed out of the final by a margin of one-one-hundredth of a second after Park Tae Hwan’s disqualification was over-turned. Despite this, he did later win the silver medal in the 1500m freestyle. In the midst of heavy training he swam a 3:49.62 in the 400 at the Santa Clara Grand Prix, placing behind Connor Jaeger and Conor Dwyer.At the Canadian Trials he swam a comfortable 3:47.08, and with some rest Cochrane should be able to give his best time of 3:44.85 from the Beijing Games a go. Ous Mellouli didn’t swim this race at the Olympics last year, but the weak field might lure him back in. We’ll leave him off of our picks until now, but he could be top 5 if he swims. The British have a strong freestyle squad this year, placing three swimmers at 3:48 or faster. They’ll be sending Robbie Renwick (3:47.02) and Daniel Fogg (3:47.57) to Barcelona. Those times are the 8th and 11th fastest times this year of the swimmers eligible to compete at Worlds. As is the case with international meets, depth means top-tier teams are only able to send their top 2 athletes. 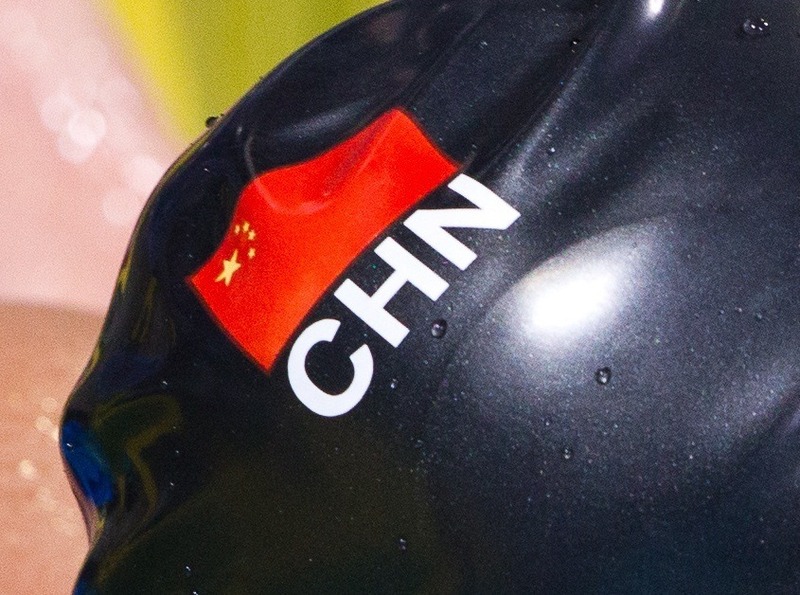 Notable swimmers who fall outside their country’s top two: Yunqi Li (CHN) swam a 3:47.15 at Chinese nationals, while Charlie Houchin (USA) and Conor Dwyer (USA) will also miss out. Australia’s Ryan Napoleon (3:46.26) and Thomas Fraser-Holmes, who suffered a Thorpeish DQ in the 400m at their trials — as did Dwyer – will also sit out this event in Barcelona. Yannick Agnel is out of his individual events at Worlds, and wouldn’t have swum the 400 anyway, but with so many scratches he probably would have been a medal contender. 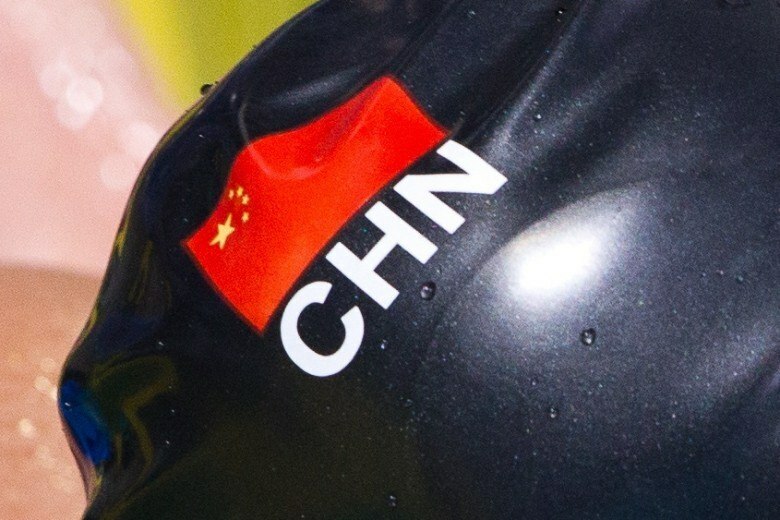 Sun Yang will easily win. I see the 2 Australians on the podium too. David McKeon ahead of Jordan Harrison. This is a solid event for US men but the rest of the world is much younger than the US in this event. We have great young swimmers but not in the 200 and 400 free range. Wonder why? True. It is scary to think that Sun Yang is younger than Connor Jaeger. A pity that Fraser-Holmes DQed in the trials, otherwise he would have been strong or firm favorite for silver. Fraser-Holmes also trains with Sun Yang and Harrison, and Harrison claimed that Holmes was much faster in the trainings than he is.